Enjoy and Embrace Learning: Happy Picture Book 10 for 10 Day! 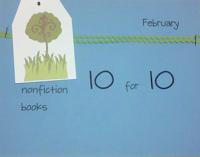 Happy Picture Book 10 for 10 Day! I feel like it's New Year's Eve and the excitement is building for new beginnings but in the world of teaching the excitement is building for discovering new books from friends, colleagues, and strangers. Cathy from Reflect and Refine: Building a Learning Community and I know three things about your list today without even looking at it. One, it's hard to only share ten books. Two, the books you are sharing today make your teaching life better. And three, you love fostering readers! Today is our 5th annual picture book event: #pb10for10. You can join by linking your blog post here or at Reflect and Refine: Building a Learning Community. Cathy and I will then add your post to our 2014 picture book jog. If you'd like to have your blog linked to the conversation, just comment with the link (cut and paste your post address in the comments) for your picture book list here OR at Reflect and Refine: Building a Learning Community. You are welcome to comment on both blogs (comments are always appreciated), but to simplify our work in creating this year's jog as a resource, please ONLY LEAVE YOUR LINK ON ONE OF OUR BLOGS. This will help us to keep from duplicating posts in the jog. If you don't have a blog, but would like to join, there are lots of ways to participate. If this is your 5th year, please mention this when you leave your link. 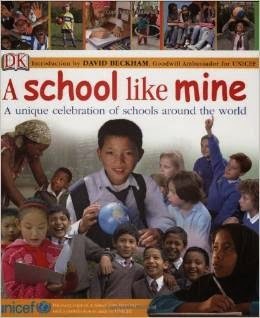 Today I am sharing a list of 10 books I've put together about schools with a focus on global literature. I took a class this past spring and it expanded my thinking about picture books and showing our students the world is more than what they see and live day to day. Authors Barbara A. Lehman, Evelyn B. Freeman and Patricia L. Scharer define global literature in Reading Globally K-8, “In sum, our definition of global literature focuses on books that are international either by topic or origin of publication or author.” The authors honor and recognize it is closely related to multicultural literature, where the literature is comparing cultural groups within the United States. 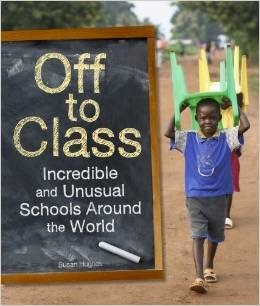 This book highlights the various ways students get to school in different countries. It really makes readers process the idea of everyone doesn’t ride a yellow school bus. Salma and Lilly are best friends at school until one day they are honest with each other and admit they think their sandwiches are weird and gross. They solve their differences by trying each others food and plan a special lunch event for the whole school. Sarie doesn’t mind the hot sun in the South Africa but worries about being at school and learning how to read. The reader follows Sarie’s journey and how she does learn to read. This book takes readers to schools around the world celebrating similarities and differences. A photo essay about bread found all over the world. 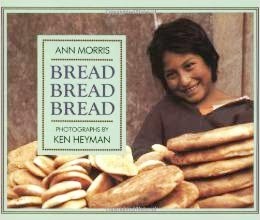 A great companion book to go with The Sandwich Swap. 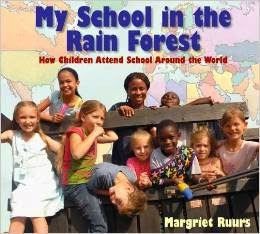 A collection of stories about unusual schools all around the world that focus on schools set in an unusual environmental setting, traveling schools, and resourceful ways to make a school. Touching stories to cause empathy and perspective thinking. 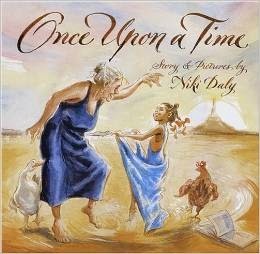 Based on a true story, a immigrant farm worker shares the journey his family takes to farm for money and how he learned to read by spending time with the library lady. 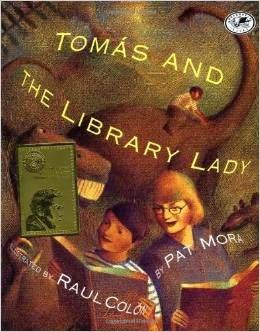 In return, he taught her about Spanish and gained the gift of becoming a reader. Libraries are not always in a room lined with bookshelves. This book is a collection of stories about libraries all over the world. They are in traveling trucks, libraries deliver books through the mail, and some libraries are on boats. A collection of stories told with beautiful photography to show readers schools are different. Sometimes students go to school on a boat, in a tree house built in a forest, or via a webcam from another country. 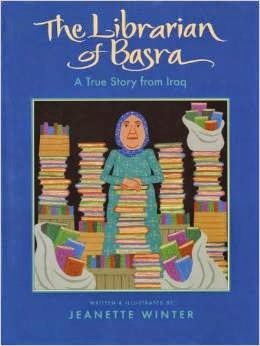 This story is based on true events from Basra, Iraq when their city was invaded during the war. Alia Muhammad Baker was the head librarian and had the foresight to remove books from the library before it was eventually burned. She moved the library to her house to keep them safe. We are so glad you have stopped by and joined our conversation and sharing today. Please try to comment on several blogs today to grow and foster our community. There are a couple of quick ways to discover blogs sharing picture books today; google picture book 10 for 10 or use the hashtag #pb10for10. By sharing the link to your post today here or with Cathy, it will be added to our Jog the Web summary for Picture Book 10 for 10 Day, 2014! Today is going to be dangerous, thank you for sharing a new title with me I just added it to my shopping cart! I've been reserving on two cards and have maxed them both out. Now I'm pinning titles I don't want to miss. 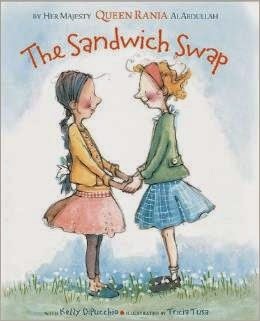 "The Sandwich Swap" is a favorite of mine too! I love the theme of your books! They look so good...Will be checking our library for the titles! Loved the theme of your books can't wait to use with my 4th graders going to use Once Upon A Time with my kids this week as we talk about reading. All of your list, with the exception of The Librarian of Basra, is new to me. Awesome! I loved seeing so many new titles on your list. I can't wait to check them out. m excited to build my "Must Have" picture book list with everyone this year! Here's the post for my 2014 Top Ten: http://bit.ly/1sM3Ryn Happy Reading! Glad you could join the conversation, Cathy. Thanks for this, Mandy. 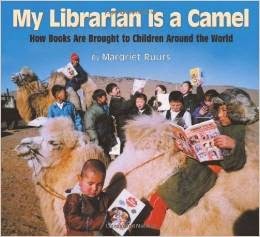 I know several, but would love to have a copy of Off To Class, and My Librarian Is A Camel. Of course, all sound wonderful! These books just made me smile looking at the titles. Always good to see things from someone else's perspective. I'm so glad you could join the conversation, Paula. Great theme choice! 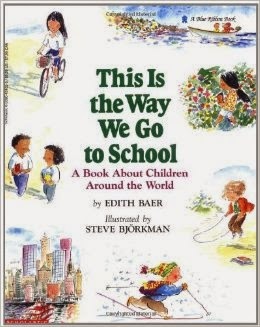 This works so well with a post I am working on about "children around the world," since that is always how I start the first few weeks of school. Librarian of Basra missed my top 10 by around 1 slot! I'm so glad you chose this theme! I'm starting my 6th graders off this year with the theme topic "Global Issues," so I needed this. Thanks! Love this theme! Education is so important and I'm glad there are picture books that talk about it and in so many ways. Great theme --we need to think more about this focus. Only year two for us but we LOVE it!! Thanks for hosting and a great list! Your students will love these titles. Here is my list of favorite animal rescue and friendship stories to help me launch a new learning community with students. What a smart list for building titles for social imagery. These books are sure to be hit for all. Love your list! This is such a great idea to help students gain a deeper understanding of the world in a context they can understand. Thanks for sharing your titles to help build community. This is a wonderful list and one I will share with my staff and teacher librarian when we start school. I'm happy to be participating in my second 10 for 10! Thank you for this opportunity to share and discover. Love this list. I forgot about My Librarian is a Camel and looking forward to checking out Once Upon a Time. This list is perfect for the #weneeddiversebooks movement. Thanks for joining me for our 5th annual #pb10for10. Wow! The posts are flying in and the conversation always makes me excited about starting the new school year. Off to jog…. Welcome to your third year! Mandy - I left my link on Cathy's post. As for your titles, I love seeing posts where the books featured show cultural diversity. Thanks for hosting and for this great list. I'm sorry this is a day late, was at an all day family reunion and forget to post before I left. Better late than never though! I've added your post to our jog, Stephanie. "The more I learn, the more questions I have. The more I know, the humbler I become in all that I don't know. As a learner, I am open and eager to wonder, inquire, discover, observe, try out, reflect, rethink, and revise my thinking and teaching." Second grade teacher passionate about - reading, math, writing, connections, & creativity. Enjoys the process. Co-founder of #pb10for10 & #nf10for10 My One Little Word this year is - LIGHT. Math Monday - What manipulatives do you have? Math Monday - Where are your math manipulatives? Celebrate This Week - Second Grade!